In an agreement with the Humane Society and the Fur Free Alliance, the Armani Group has committed to stop using fur in its collections across all labels, beginning with its fall 2016 collections. 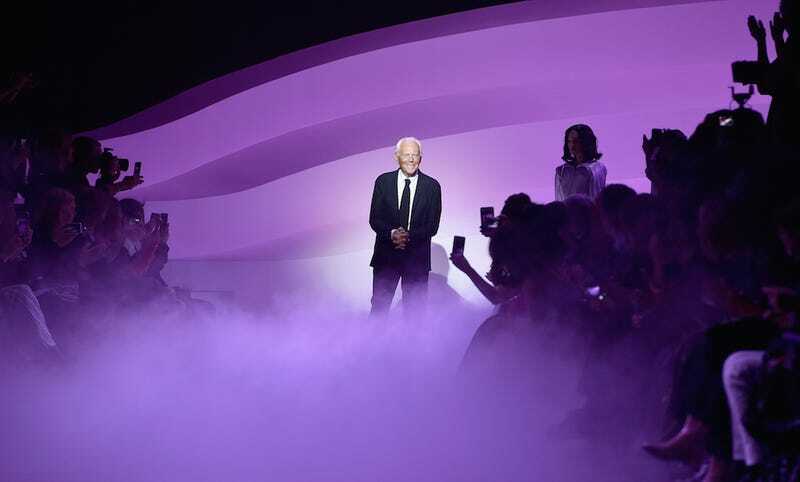 The Armani Group includes the brands Giorgio Armani, Armani Collezioni, Emporio Armani, Armani Privé, AJ Armani Jeans, A/X Armani Exchange, Armani Junior and Armani Casa. In 2009, PETA used the term “Pinnochio Armani” to describe the designer after he made statements indicating that he would no longer use fur, and then went ahead and showed collections that included fur. Pecelle added that Armani “was dealing with the industry-wide assumption within the fashion industry that fur equates to luxury,” an assumption that is oddly stubborn, despite the fact that faux fur these days is guilt-free, often equally (if not more) expensive, and way, way cooler. The Armani Group joins a small but growing list of designers and retailers who have parted ways with the fur trade, like Stella McCartney, Tommy Hilfiger, Calvin Klein, and TopShop; Hugo Boss committed to the same Humane Society pledge last year.